Simon has found himself working in many different areas of the music industry, from being a member of various signed bands, to programming for some of the most well known drummers around. Simon was one of the earliest contributors to mikedolbear.com and has been editor of the site since 2007. He can often be found at the airport, laptop under arm and is proud of the fact that a few of his ideas are being used by drummers all over the world. A self confessed geek, he has used electronics since he was young and now finds his more visible work to be in this field. 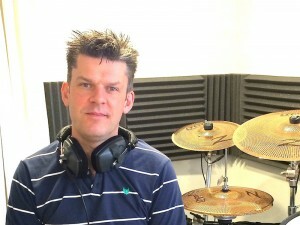 Along with recording and programming for numerous artists, demonstrating and consulting for major manufacturers across the world, Simon helps players at all levels get the best out of their electronic drums through his website eDrumInfo.com.